Check out the top 100 freshmen girls national indoor rankings by event as of December 26th. Jordan Sales of J.H. 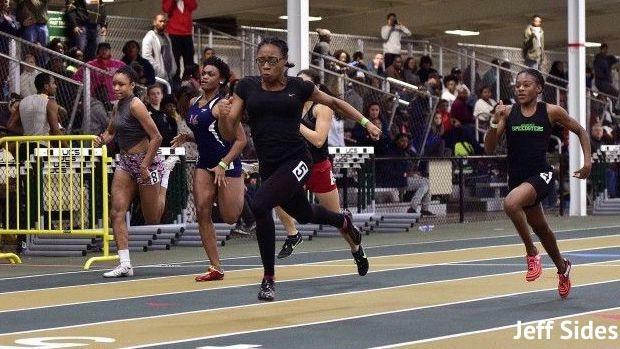 Rose (NC) is already approaching sub 7 seconds in the 55 meter dash as a mere freshmen following her 7.08 victory at the NCRunners Holiday Invite on December 17th. She also is ranked #4 fastest among all freshmen in the 300 meter dash as well with a 40.90 clocking.